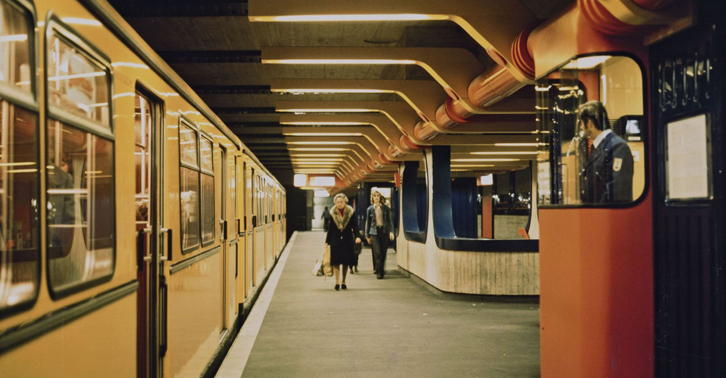 The Berlinische Galerie welcomes this opportunity for a début presentation of selected underground stations, including the story of their genesis and the architectural concepts at play. Against the backdrop of a divided city and the two separate German states founded in 1949, the stations Tierpark, Schloßstraße and Rathaus Spandau serve to illustrate how Berlin’s unique role as a theatre of enduring East-West conflict affected even metro design. The chosen exhibits within our Presentation from the Collection highlight the formal diversity of Berlin’s underground stations and their potential as sites of cultural identity. 100 square metres of the permanent display are devoted to some 60 exhibits illustrating the formal diversity acquired by Berlin’s metro architecture over time and the cultural potential of these sites of identification. The international conference “Underground Architecture Revisited” will take place at the Berlinische Galerie on 20–23 February 2019 in conjunction with this exhibition.